It’s easy to want to brag about your kids. Sure, they can be a pain in the rear at times, but they’re amazing human beings. They’re also smart, funny and talented. You think your child is better than any other child who has ever lived. It’s only natural. But if you really want to really have stories to brag about, those kids have to do some exceptional things. So, how do you raise kids to be success stories? Follow these 6 tips for setting your kids up for success. If your kids are going to be successful in life, they must understand the value of hard work. There are different types of success, and they don’t have to become millionaires. But it’s important that they understand what it’s like to work for what they want. They’ll need to work for everything they get, including money, grades and other accomplishments. So, chores are a good place to start. Social skills are so important in the real world. People with good people skills can get a lot further than anyone who is socially awkward. So, when your kids are very young, start the process of socializing them. Bring them on playdates, join mommy and me classes or send them to daycare. As they grow, continue to encourage social activities like afterschool programs, team sports or other group activities. Try to introduce them to new kids their age at least a few times each year. You can’t fail if you don’t try, so failure is often a good thing. If you learn that your child failed at something, it means that he or she tried. We can also learn and grow from each failure, so it’s an opportunity for a lesson. If you want your child to be successful, teach him or her that failure is nothing to fear. You may feel like it’s too late for you to be a success story, but you should know that it’s never too late. Also, you don’t need a sensational story to inspire your children to accomplish great things. All you need is to demonstrate the basics. For example, let’s say you’re dying for the new Hyundai SUV but it would mean taking on a car payment. Do you get it? Talk through the pros and cons and come to a financially wise decision for you and your family. As you involve your kids, they’ll learn how to make these decisions for themselves later in life. No one gets to the top on their own. 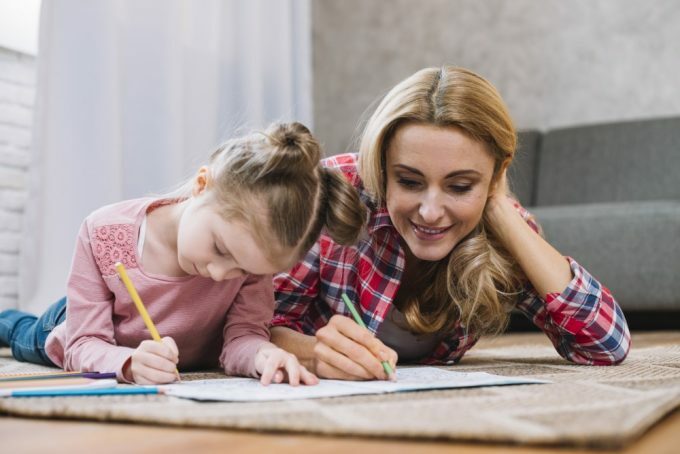 So, while you’re raising your children to be independent, it’s also a good idea to teach them how to rely on other people whenever necessary. Relationships are important for anyone’s growth. You’ll want your kids to do well in school, but we all know that school doesn’t prepare anyone for the important things we face in real life. We don’t learn how to pay bills, cook dinner or stretch a paycheck for two weeks. These are things our kids must learn at home. If they don’t, they’ll likely make mistakes that will sabotage any successes they may have. As parents we don’t have control over whether our kids will be successful, but we can give them all the tools and knowledge we have to help lead them down that path.